Former Atletico Madrid manager Quique Sanchez Flores has been named as Watford’s new boss on a two year deal. The 50 year-old replaces Slavisa Jokanovic who led the Hornets to automatic promotion to the Premier League last season. It is thought that Jokanovic, who’s contract expires in the Summer, had demanded a new deal worth $2.5 million after Watford finished 2nd in the Championship last season, but the club refused to meet his demands and talks broke down. The Spaniard becomes the clubs fifth manager in a year. 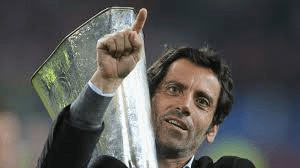 Flores guided Atletico to the 2010 Europa League trophy and also won the Super Cup the same year. Flores also coached Getafe and Valencia in La Liga, Benfica in Portugal and most recently Al Ain in the United Arab Emirates. Alberto Diaz and Antonio Carlavilla have been announced as Flores’ assistants. Watford also announced the signings of Austrian defender Sebastian Prodl and Lithuanian goalkeeper Giedrius Arlauskis on free transfers as they prepare for Premier League football for the first time since 2007.